A few months ago Sara and I were exploring the Goodwill Outlet in Sodo. If you've never been to a Goodwill Outlet, it's where items that fail to sell in the retail stores are dumped into huge bins and sold at 75% off. You can pick up a bunch of different items there from records to dart boards to sketchy looking tools. They even sell clothes by the pound. We went through the whole place and eventually landed in the books section. There was mountains of books piled with no particular rhyme or reason. 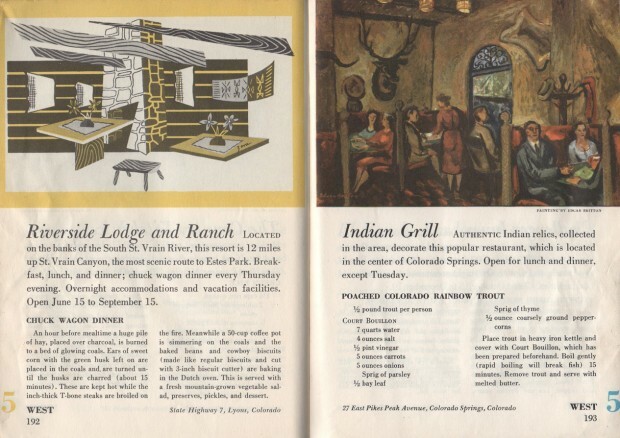 While searching through the piles, Sara picked up "The Ford Treasury of Favorite Recipes from Famous Eating Places," a mouth full of a name if I've ever heard one. She opened up to the inside cover and we immediately knew that we had found a gem. 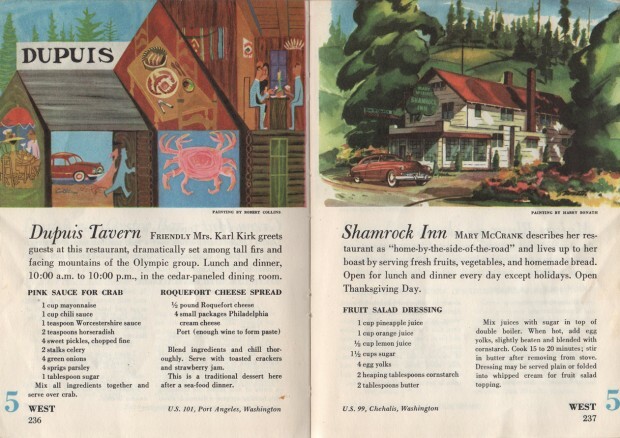 Originally published in 1950 by Simon and Schuster for the Ford Motor Company and designed by Artists and Writers Guild Inc., Treasury is a collection of recipes, paintings, and descriptions of famous and not so famous restaurants around the United States. The book is filled with 250 pages of wonderful mid-century illustrations in a variety of styles and by a multitude of artists. 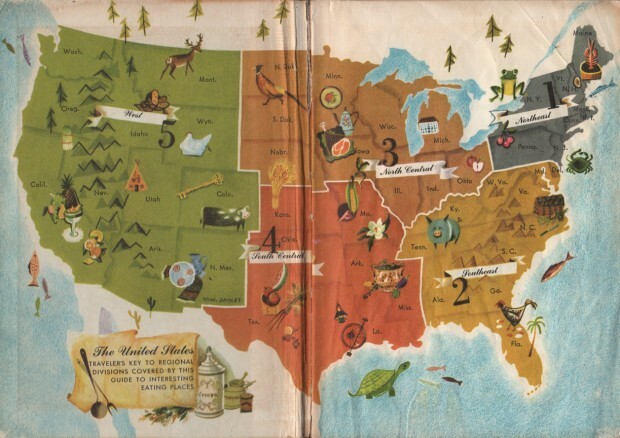 Most notably Charley Harper. I've included some scans of the interiors. I wasn't able to find much information about William, but you can visit his daughter's blog. It looks like painting runs in the family. 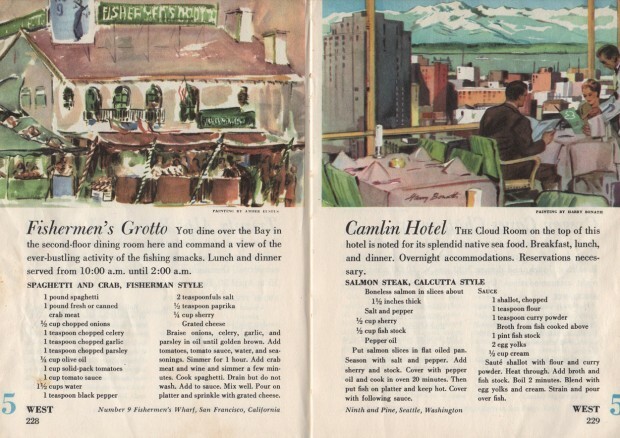 "Harpers’ new style first appeared in the December 1948 issue of the Ford Times – in the recipe section. Arthur Lougee, the Ford Times art director, was sufficiently impressed and over the next several years Harper was given a number of commissions for feature articles and cover illustrations." Happy motoring and successful cooking!